Volunteers install supplies for the Kanesville Riders. 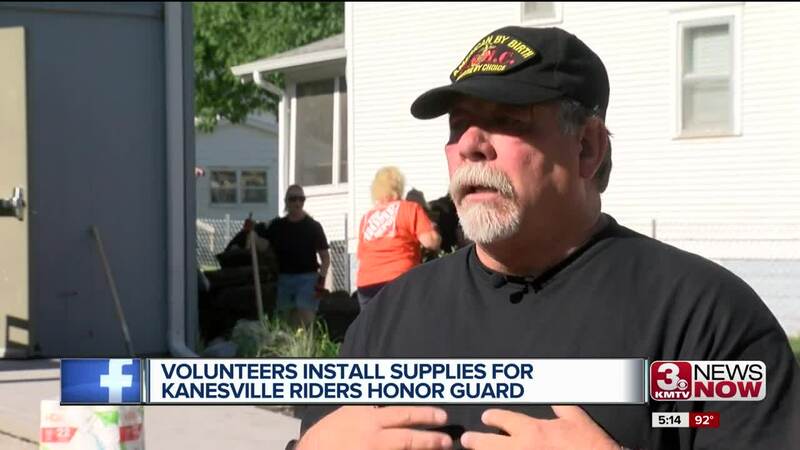 Kanesville Riders Honor Guard will receive a new building in Council Bluffs thanks to grant money through Home Depot's Team Depot program. The organization provides military honors at veteran funerals. The group also provides veteran outreach and works with veterans with PTSD. They've provided military rites at more than 380 funerals. Home Depot donated $19,000 worth of supplies for construction of the headquarters. Today - a team of volunteers worked on construction. The goal is to have the new headquarters for the Kanesville Riders Honor Guard up and running by the end of the summer.